Chinese smartphone manufacturer Xiaomi is all set to launch its new smartphone Redmi Note 7 in India. 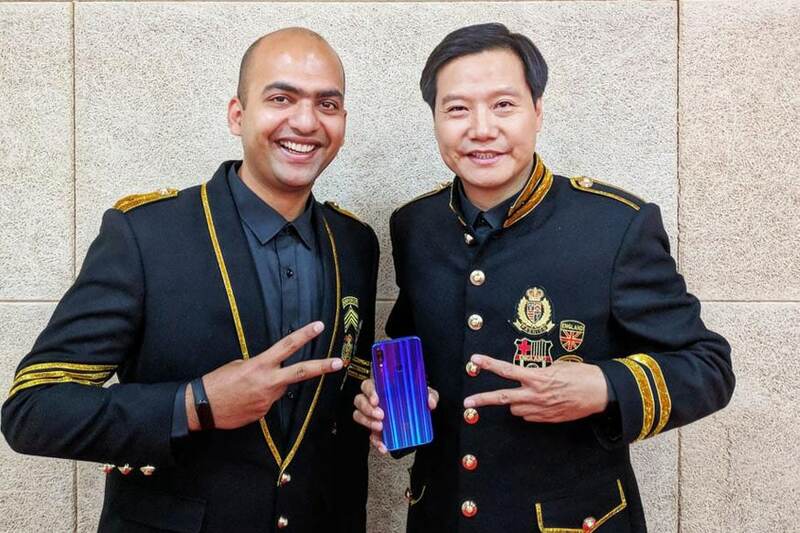 Xiaomi India Managing Director Manu Kumar Jain on Thursday tweeted his image along with Xiaomi CEO Lei Jun holding the Redmi Note 7 in his hand. The tweet also includes upside down text that specifies the arrival of the 48-megapixel camera phone. The Redmi Note 7 is the first phone from the company under the now independent Redmi brand which will be followed by Redmi Note 7 Pro and Redmi Go in the upcoming months. The Redmi Note 7 is priced at CNY 999 (Rs 10,500 approx) for the 3GB RAM variant with 32GB storage, CNY 1,199 (Rs 12,500 approx) for the 4GB RAM version with 64GB storage, and CNY 1,399 (Rs 14,500 approx) for the 6GB RAM with 64GB storage option. The smartphone is expected to go on sale from January 15 in China and will be made available in Twilight Gold, Fantasy Blue, and Bright Black colour options. The handset features a 6.3-inch full-HD+ (2340x1080 pixels) LTPS display with 19.5:9 aspect ratio, 450 nits brightness, 84 percent NTSC colour gamut, Corning Gorilla Glass 5, and 2.5D curved glass protection. It runs on a Qualcomm Snapdragon 660 octa-core SoC paired with 3GB, 4GB, and 6GB RAM options along with 32GB and 64GB storage options. At the back, there is a dual camera setup with a 48-megapixel Sony IMX586 sensor with f/1.8 aperture and a 5-megapixel sensor. The company claims that the experience is elevated thanks to AI-backed software features. At the front, there is a 13-megapixel selfie camera. Other features include a 4,000mAh battery with Quick Charge 4 support, USB Type-C port, 3.5mm audio jack, 4G VoLTE, Bluetooth, Wi-Fi and MIUI 9 based on Android Oreo.